I'm never alone when I quilt. 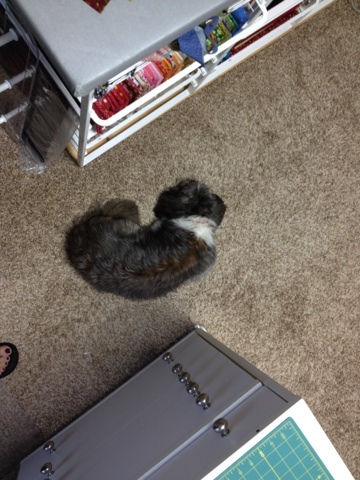 This little guy always parks himself under my sewing machine or just between the sewing table and the pressing station. Such a big helper! Just think of all the calories I burn stepping over him.